Watch live as Megan Mathie, a member of the Hot Glass Demo and Celebrity Cruise Ship Demo team, demonstrates her talents as an artist in the Amphitheater Hot Shop on June 8 from 6 to 8 pm. Megan Mathie learned to blow glass at the Columbus College of Art and Design, where she earned her BFA. 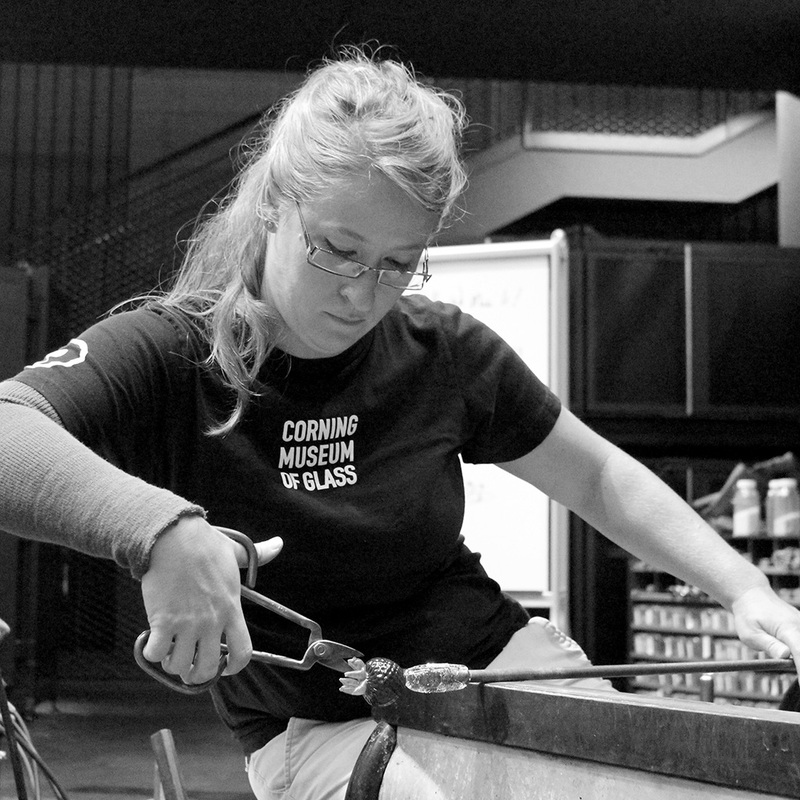 Since graduating in 2006, Mathie initiated, developed, and managed a demonstration glassblowing studio at the Franklin Park Conservatory in Columbus, Ohio, before coming to work for The Corning Museum of Glass. Mathie loves the immediacy of creating art from molten glass, as well as the cooperation between artists working together in the studio. The Hot Glass Demo team of The Corning Museum of Glass consists of some of glassmaking’s most talented individuals, many of whom have worked with the world's most inspiring maestros, leading designers, and renowned firms. Together, they present more than 1,000 hot glass demonstrations a year to guests and Museum visitors. Megan Mathie first encountered hot glass at the Columbus College of Art and Design where she earned her BFA in painting. She gained curatorial and exhibition development experience at the Franklin Park Conservatory in Columbus, Ohio.